The OEM bearings are manufactured by FAG bearing company in Germany, solely for BMW under contract. No other source of these bearings has been found. They are currently $95.06 each (2017) they were $85 last year. We can assume that the OEM bearings will continue to climb in price, until perhaps they are so expensive, and such low volume that BMW/FAG decide to no longer produce them. Nushings were designed to replace those tapered roller bearings using the OEM pivot pins. Using high strength Nylatron with Molybdenum Sulfide impregnated within. Installation is simple, no special or factory BMW tools are required. They are lightweight, small, and easy to carry as spares on a long trip. 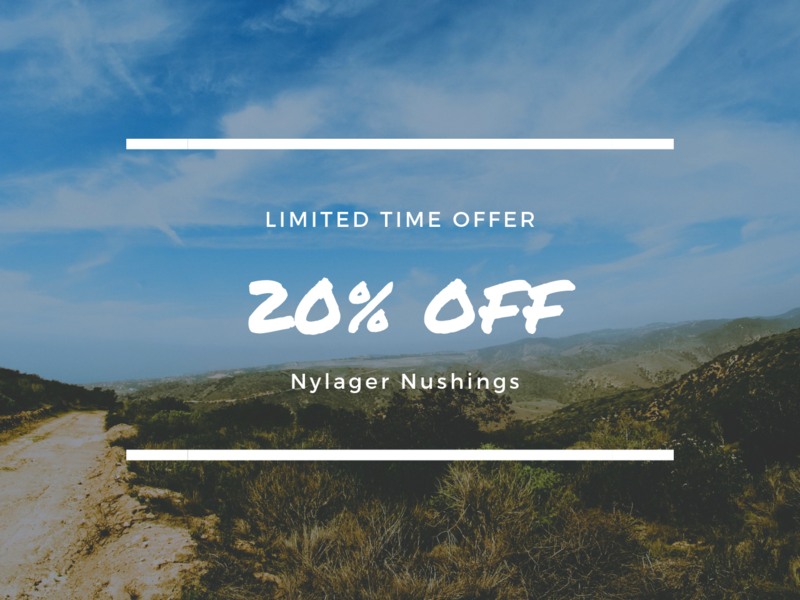 These are the very latest variations of a long experimental lineage of NyLager Nushings. They are working well in hundreds of airhead and oilhead BMW bikes all over the world. To order just check out this absolutely terrible website! For the rest of the month of October, special deals! Direct email to nushings@gmail.com for ordering ONLY! flat shipping rates: $3 in the USA/ $5 anywhere else. if you order through Nushings.com you will not get these prices! Consider this a limited time UKGSer insider discount ! The 20% sale ended last week, but keep an eye on the website for upcoming specials. Also, I am about to add another product, a "kit" for going inside the tank. -the large O ring ( in VITON) for the fuel pump plate, you will never have to replace this O ring, and it will not be effected by gasoline.